Dutch reporters have published a video, which shows them being attacked by migrants in the Calais Jungle camp with one of the attackers wielding a knife. One of the reporters was filming while the other was suddenly thrown into a tent and pinned down by three men. The migrants carried a knife and a pepper-spray, reporters said. The Dutch filmmaker Maaike Engels, whose camera “accidentally” captured the incident, later posted the video online and wrote "We were mugged by three refugees armed with pepper spray and a big knife”. The three men attempted to steal her camera, she said. Other migrants arrived promptly and helped the two reporters. The video also shows the attackers running away after the incident. After uploading the footage on Facebook Teun Voeten said a number of commenters urged him to take the content down. The journalists stood up for their decision to post it. “We have been documenting the jungle since September. What we want to achieve is to show the complexity of the immigration problem,” Ms. Engels told Breibart London. On commenting his decision to post the video, Teun Voeten said he wanted to be objective. "I show all sides, good or bad, I have no agenda and I have been documenting conflicts for 25 years," he told Huffington Post. It’s not the first time violence has occurred at the Jungle camp. Migrants are said to often attack one other and camp workers. Frustrated with heightened security and finding it ever harder to cross into the UK, Calais migrants have also been attacking truck drivers. French officials have recently started to demolish a part of the Jungle camp in order to create a “buffer zone” between the camp and the nearby highway to protect thousands of lorries from migrant attacks. 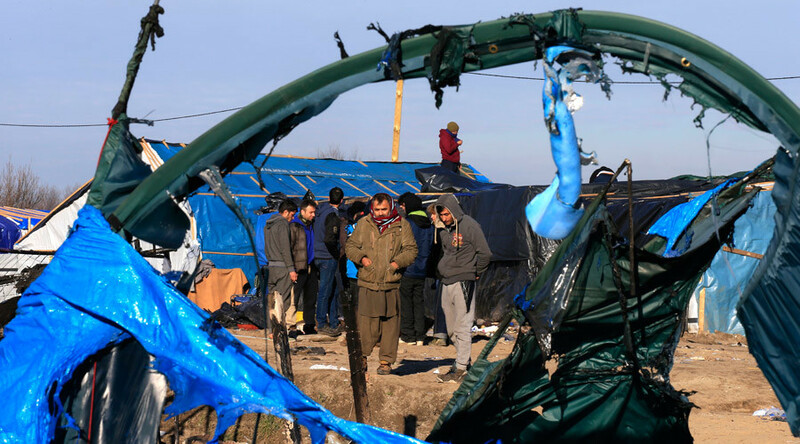 Last week the city's authorities gave Calais Jungle residents until last Thursday to leave the area, but extended the grace period until Monday. Ahead of the clean-up effort, many of those living in the Jungle had already moved into 125 homes formed from converted shipping containers in an area adjacent to the camp.